They are the most famous love stories in history and literature, they are immortal. Imagine a world where Romeo and Juliet did not say farewell. Imagine a different ending to one of the most famous Shakespearian plays, not ending with two people dying in the name of love. In Touchstone’s new animated movie, “Gnomeo and Juliet”, two little gnomes try to define what true love is by living a life that reenacts William Shakespeare’s Romeo and Juliet. Separated by a long garden war, Blue and Red gnomes rage in a bitter battle over who has the most beautiful garden. What began as a simple quest to get the Cupid’s orchid from a garden next door, Juliet, voiced by Emily Blunt, leaves the Red garden. While she is trying to retrieve the flower she bumps into someone very unexpectedly, Gnomeo, voiced by James McAvoy, a gnome from the Blue Garden. Because Juliet’s father, Lord Redbrick, has no clue that Gnomeo and Juliet are secretly in love, he asks the garden’s flower genius Paris to court Juliet. But, Juliet does not have any feelings for him. Nanette steps in and she falls in love with Paris. From there, it becomes harder for Gnomeo and Juliet to encourage the war between Red and Blue to continue. Even after the Blue’s most prized flower plant is destroyed, Gnomeo tries to stop the war without giving up his secret and creating an even more confusing battle between the two Gnome families. Unlike the play’s constant dry dialogue, it is more colorful and filled with life. It has many comical references to the actual play with play on words. This play continues to be brought to life by Touchstone. Even though this is a story that has been told more than once, this view was not dull or boring. Instead, the writers and creators found a new way to brighten up the Shakespearean play and make it extremely family friendly. Throughout this movie, the conflict between good and evil is even more relevant, and the message is that one’s love should not be sacrificed based on what others think. In this new twist to Romeo and Juliet, Touchstone shows how there is always a happily ever after story no matter what the situation is. “Gnomeo and Juliet” is extremely fast paced for an animated movie. The plot makes Shakespeare’s play more bearable, even though there are several changes. From a Christian worldview, the message to put others before yourself is conveyed. Juliet personifies this message when she is debating whether or not she should leave with Gnomeo. She questions herself as to what would happen to her family, the Red garden, and how her father would react if she did leave with a Blue Gnome. She debated whether or not she should sacrifice her own happiness in order to please her father and others. “Gnomeo and Juliet” is rated G for all ages, but do not let the rating scare you. Even though it might seem as though it would be a little too childish, this movie is worth it. It is worth a night off from your homework to see this little cartoon. Hrithik (Duggu) had previously confessed that he saw Suzanne Khan across a traffic light and fell in love with her. Suzanne’s side of the story is slightly different. It appears that, Hrithik and she knew each other from the time when they were kids, since they lived in the same locality. But LOVE didn’t happen until she came back from the US, armed with an Associate Art Degree course in Interior Designing. Los Angeles and the US of A had done shy, reticent Suzanne, a great deal of good. America taught her to be herself and not be scared of doing something she believed in. She admits, “From an introvert, I was transformed into an independent girl!”And that’s the one quality Hrithik instantly liked and admired. He was still a raw actor, taking acting lessons and he hadn’t started working. So the fact that young Suzanne was making something of herself impressed him. Once Suzanne returned to India, she began to bump into Hrithik more and more often. But though there was a mutual admiration society happening, neither Hrithik nor Suzanne voiced their feelings, since both fight shy of declaring their emotions, generally. But the two became best friends and started to talk to and meet each other every day. And then, WHAM! It happened. Suddenly, the two realized that they were in love. Suzanne maintains that neither of them verbally made a commitment but they knew that what they had was RIGHT!People who know Suzanne and Hrithik say that she calls him her Bholunath, because she thinks he is too naive and sweet for this world. Ask her if Hrithik has changed in any way after success hit him headlong and she says, “He is still my sweet little boy I fell in love with. He hasn’t changed a bit.”What Suzanne apparently regrets, is the fact that Hrithik and she have lost all privacy and don’t get too much time together. But she has willingly accepted the situation as being part and parcel of the game. Very few people know that Suzanne was heavily involved in the making of Kaho Naa…Pyaar Hai. For three months her own business took a backseat, as she tried to concentrate on the pre-release work. Suzanne even took on the onus of outfitting Hrithik in Kaho Naa…Pyaar Hai. Apparently, the only fear that was plaguing Suzanne before Kaho Naa…Pyaar Hai released, was that the film had to do well. She had seen Hrithik working his bones off for his debut and she was worried about the fate of the film. Being a spiritual person, Suzanne even went to Shirdi with Hrithik to pray for the film.Suzanne is an integral part of the Roshan family, say family friends of the Khans and the Roshans. There is no family event where Suzanne is not present. Hrithik’s mother, Pinky Roshan and Suzanne, share a very close bond. In fact, when the Roshan family went on a long overdue holiday after the release of their film, it was Suzanne who accompanied them. Hrithik`s success didn`t changed him or his love towards Suzanne though. Heer was an extremely beautiful woman born in a wealthy family "Sayyal". Ranjha (Teedo) was the youngest of four brothers, after a confrontation with his brothers, Ranjha left home and travels around and comes to Heer�s village, where he found his love, Heer, who offered him a job to take care of there cattle. Having met Ranjha, Heer became mesmerised by the way Ranjha played the flute (Wanjli) and eventually fell in love with him. They would meet each other secrectly for many years until they were caught by her jealous uncle "Kaido" and parents (Chuchak & Malki). Heer was forced to married to another man "Saida Khera", with the full permission of "Mullah" (priest), who was well-payed by Kaido. Ranjha was left broken hearted and left to walk the quiet villages on his own until eventually met a Jogi (devoted beleiver in God). Having entering Gorak's Tilla (Shrine) Ranjha could only see his departed lover and being emotionally scared he voluntarally became a Jogi. Reciting the name of the Lord "Allakh Naranjjan" on his travels around the Punjab he found the village, where he was reunited with Heer. They escaped (also with Saida Khera�s sister "Sehti", who was in love with "Murad Baluch" - an another famous love story of Punjabi Culture) but was caught by Maharajah�s police. Maharajah punished him to jail but same night whole city was in flames. Maharajah freed Ranjha and permitted him to marry with Heer. They came back to Heer's Village, where Heer�s parents agreed to their marriage. On the wedding day, Heer's jealous uncle, "Kaido" poisoned her so the wedding wouldn't take place. Having heard the news Ranjha rushed to aid Heer but was too late as she died. Ranjha becoming broken hearted once again and died on her grave. Shahrukh’s personal story can never be complete if one were not to talk about his romance and subsequent marriage with Gauri Chhiba, the daughter of retired Major Ramesh Chhiba, who had been born a vegetarian, was a Hindu Brahmin, and even had a temple within his house. Shahrukh being a Muslim in India where religion plays a key role while deciding the destiny of marital alliances, his marrying Gauri whom he had met in 1984 and eventually married in 1991 was indeed a tough task to accomplish. The relationship between the two had been kept under wraps, and understandably so because Gauri’s parents would not have accepted it. Or, so it seemed for quite some time even while the twosome continued to meet up for six long years. The youngest in a Punjabi joint family with around 15 members, that Gauri would marry someone from her community was a foregone conclusion. As for Shahrukh, he was willing to do anything to get her in his life, and it is said that he had entered Gauri’s household by posing as Abhimanyu during the girl’s birthdayparty. Abhimanyu…. Who? Yes! The character that Shahrukh had just started to play in the television serial Fauji that was being directed by the retired Lieutenant Colonel Raj Kapoor. The serial based on life in the army had made Shahrukh’s character really popular, and people around even said that he looked quite a bit like Dilip Kumar when he attended the birthday party in Gauri’s house that day. The story of Shahrukh and Gauri’s relationship continued to add a new chapter with every passing day, and not all of them were bliss-laden as is the case with all human relationships. He was tremendously, in fact uncomfortably possessive about his lady love, so much that he would pick up a quarrel with her even if she let her hair down… literally. Finally, Gauri lost her cool and realized that she wanted to get away from the emotional bedlam in 1989. Without informing Shahrukh, she came down to Mumbai with her pals just a day after the former had celebrated her birthday in his room by decorating it the best way he could have and giving her lots of presents. The problem the couple apprehended was because of Gauri’s set-up that consisted of simple people who were loyal to Indian social norms and did not question the tenets of tradition: which, in this case, implied that having a son-in-law who belonged to a different religion. This was a thought that would have never crossed their minds. But the time when the twosome had to marry had to surface some day or the other, and that did happen in 1991. The couple went ahead and put up a notice for a court marriage which, according to the Indian marital laws, meant that their names were displayed in front of the court in a notice for one long month. Shahrukh and Gauri had to hide the notice from their parents, so they did the most obvious thing. They gave a address and said it was their own. The poor fellow had to suffer the repercussions. The parochial among the Hindus made a group and shouted in front of his house, and so did their Muslim counterpart. During those 30 days, the life of his friend was absolutely miserable, but then both Shahrukh and Gauri did not have a choice because they were really concerned about the latter’s parents. Those 30 days proved to be critical for the young couple. They worked hard towards convincing Gauri’s parents, and eventually managed to make them see their point of view. That they would have a court marriage after the notice period got over was decided upon, and it was on August 26 that this ceremony was finally solemnised in the court. They also got married in keeping with Hindu and Muslim traditions seperately. In fact, it was Gauri who insisted that they should have a Muslim wedding too, and the roots of a secular family set-up had been firmly established be them. have not seen it. So here it goes. and how their relationships change over a period of time. make certain decisions that will set to change their lives irrevocably. Story one : Rishi (Siddhu) and Jai (Abhijeet) are good friends living in Hyderabad. poles attract, they become good friends. They come across Anu (Nishanti Evani). Anu`s parents started finding good match for her marriage. come back to India to marry Anu. Finally Anu`s marriage fixed to some other guy. but in vain. He lost Anu and regrets about it. too late and he lost Radhinka and regrets about it. their faces with changes irreversible! DESTINY has its own plans. In The END : Rajesh and Anu both who lost their love and get married by chance. What’s So Special about Their Love: These two had a love so strong, war was waged against them to break them up. When Mark Antony left his wife, Octavia, for the mesmerizing Cleopatra, Octavia’s brother Octavian brought the army of Rome to destroy them. These two lovers were so entranced with each other that they committed suicide rather than be apart- the ultimate Romeo and Juliet true love story. What’s So Special about Their Love: Napoleon was immediately smitten when he saw the beautiful Josephine, but it took him years to woo her. Once they were together, theirs was a stormy romance full of infidelity and drama. When Josephine could not produce him an heir, Napoleon left her for another woman, and she died of a broken heart. Napoleon never got over Josephine – rumor has it that he carried violets from her garden in his locket until he died. 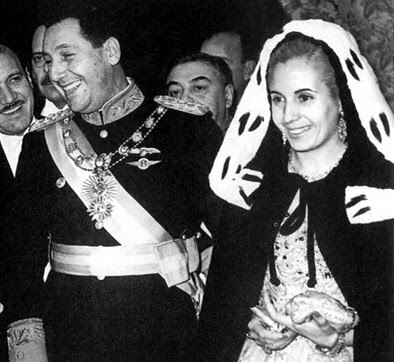 What’s So Special about Their Love: Juan Domingo and Evita were the ultimate political power couple. After raising herself up from poor beginnings, Evita charmed Juan Domingo and the two fell in love. They changed the entire scope of Argentinian government and became one of the most beloved political couples of the era. Just after one of their biggest political victories, Evita tragically died of cancer. What’s So Special about Their Love: Edward made big news – and big changes to the British monarchy – when he fell for the charming (and married!) Wallis Simpson. Wallis, an American who was unable to be a British queen, soon divorced her husband in 1934, and the two embarked on a wild romance. Edward became King of England in 1936, but he soon abdicated the throne to be married to the woman he loved. What’s So Special about Their Love: Voltaire was a brilliant playwright and author who was beloved by French royal society, and Emilie was a young, intelligent socialite. Emilie was married to the Marquis du Chatelet, but neither she nor Voltaire cared about what people thought – they went out and about together as a couple for the fifteen years until Emilie died, even living together in a house owned by her husband. These two were not only attracted to each other physically, but even more so attracted to each other’s superior intellect. What’s So Special about Their Love: Nicholas, the future Czar of Russia, fell in love with the lovely German princess Alexandra. Against the wishes of both families, they were determined to be together, and were well-known for their public displays of affection! When the Bolsheviks took the Russian royal family captive, Alexandra and Nicholas were executed. Together. What’s So Special about Their Love: Richard Burton and Elizabeth Taylor starred together in many movies, including the story of Mark Antony and Cleopatra! Their chemistry and sexual attraction to each other could not be contained, even though they were both married to other people when their love story began. They married, but their tumultuous relationship burned out quickly, and they divorced… only to remarry each other 16 months later in Africa! What’s So Special about Their Love: Emma is a famous beauty who was a muse to artist George Romney – her loveliness is featured in many of his paintings. Emma was married to Sir William Hamilton, while Lord Nelson was married to the Lady Fanny Nelson. When they met, the gorgeous Emma was so taken with Lord Nelson that she fainted against him, calling out, “Oh, God, is this possible? !” What a meeting! They lived together with her husband for several years in an audacious affair that captivated London. What’s So Special about Their Love: Tristan falls in love with his beloved uncle King Mark’s wife, Isolde. Involved in a bitter love triangle where all parties have love and respect for the other, Tristan and Isolde cannot deny their passion for each other and ultimately begin an adulterous affair. When King Mark finds out, he flies into a rage and kills his nephew Tristan with a poisoned sword. When Isolde learns of his death and sees his corpse, she dies of grief and falls over upon him. What’s So Special about Their Love: Pyramus was the most gorgeous man and Thisbe the most beautiful maiden in Babylonia. Neighbors and childhood friends, they were forbidden to marry by their parents. One night, they planned to meet and run away together, but a mountain lion attacked Thisbe. She escaped, but the mountain lion took her veil. When Pyramus saw her bloodied veil in the mountain loin’s mouth, he believed she’d been killed, and so he stabbed himself with his sword. When Thisbe saw Pyramus dead, she picked up his sword and killed herself also. What star-crossed lovers! What’s So Special about Their Love: Prince Khurrum (who later became Shah Jahan) fell passionately in love with the beautiful, graceful Arjumand Banu Begum (who he later renamed Mumtaz Mahal) when she was only fourteen. Although he had two other wives, Mumtaz Mahal was the love of his life. They traveled everywhere together, and when she died in childbirth delivering their fourteenth child, Shah Jahan commissioned the Taj Mahal be built in her honor. What’s So Special about Their Love: Prince Saleem, son of Mughal Emperor Akbar, fell in love with the lovely slave girl Anarkali. Akbar and his wife Jodha were shamed by their son’s love for a common servant, and they forbid him to see her. Instead, Prince Saleem declared war on his father. After a battle, Akbar defeated his son and demanded that Saleem either surrender Anarkali or be killed. Prince Saleem chose death, but Anarkali could not see her love killed – instead, she gave her up life in exchange for one night with Prince Saleem. After their one night together, Akbar had her buried alive in a brick tomb that still stands today. many months he had admired a beautiful sports car in a dealer's showroom, and knowing his father could well afford it, he told him that was all he wanted. signs that his father had purchased the car. Finally, on the morning of his graduation his father called him into his private study. His father told him how proud he was to have such a fine son, and told him how much he loved him. He handed his son a beautiful wrapped gift box. he raised his voice at his father and said, "With all your money you give me a Bible?" and stormed out of the house, leaving the holy book. saw the still new Bible, just as he had left it years ago. With tears, he opened the Bible and began to turn the pages. As he read those words, a car key dropped from an envelope taped behind the Bible. It had a tag with the dealer's name, the same dealer who had the sports car he had desired. On the tag was the date of his graduation, and the words...PAID IN FULL.